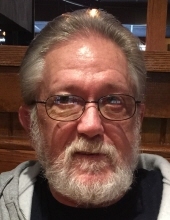 Celebrating the life of Glen L. Fife Jr.
Obituary for Glen L. Fife Jr.
Glen L. Fife Jr., 64, died Monday, April 8, 2019 at his home in Bucyrus following multiple health issues. He was born February 20, 1955 in Dayton, Ohio and shortly thereafter his family moved to Mansfield where he attended Mansfield Senior High School until enlisting in the US Army. Glen was stationed in Germany and while living there, graduated from Frankfort American High School in West Germany. He was honorably discharged in 1975. Glen found enjoyment in hunting, fishing and simply being outdoors. He is survived by his mother, Louise (Blevins) Fife; four children, Robert Fife, Bridgette (Billy) Gayheart, Rodney Fife and Angel (Christopher) Richards; two siblings, Johnny Fife and Kathy Lynne Alvarez. He was preceded in death by his father, Glen L. Fife Sr.
No public services will be held but memories and expressions of sympathy can be shared by visiting his tribute page at www.wisefuneral.com. To send flowers or a remembrance gift to the family of Glen L. Fife Jr., please visit our Tribute Store. "Email Address" would like to share the life celebration of Glen L. Fife Jr.. Click on the "link" to go to share a favorite memory or leave a condolence message for the family.